Safety/Quality Approvals: Morning Jetone is friendly cooperating with our customers. We make great progress to develop new products to satisfy our customers. 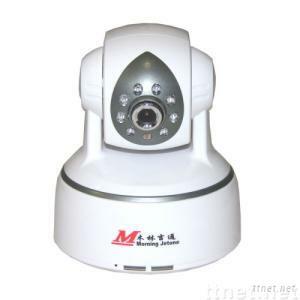 There are wireless IP camera, wifi IP camera, PTZ IP camera and water-proof IP camera etc. All the products with CE and FCC approved, the Quality management system ISO9000-2008 is serious executed. We deeply known the brand responsibility, and try our best to assure that quality and service are our core value. G. 711/G. 726 audio compression. Eight infrared lights with 5m night vision. Giving an alarm in case of motion detection. Multi-level users access with password protection. Support 3G phone and smart phone. Remote view the SD storage and download. Remote controls the IP camera online.